Did you ever wonder why you crave certain foods? Have you ever stopped to think why you go crazy for sugar while your co-worker only wants salty snacks? 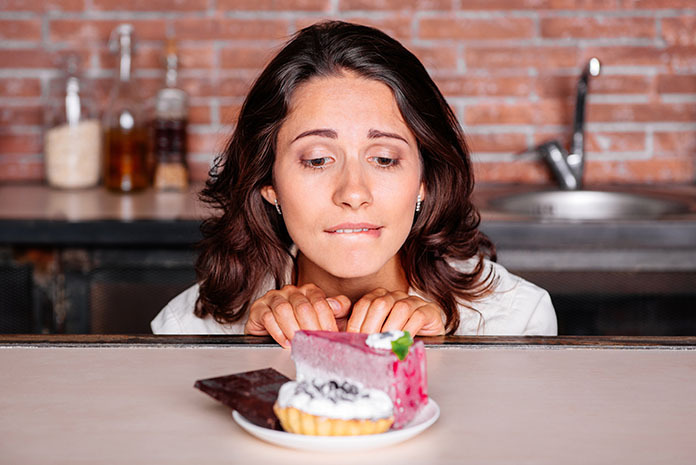 While the idea of food cravings may seem random, Chinese medicine actually has some explanations as to why you crave certain foods and not others. According to Chinese medicine, each organ system in your body is associated with and is nourished by a specific flavor. Foods with a particular flavor are directed by your body to support its corresponding organ system. However, this is only true up to a point— eating too many foods of the same flavor can become overwhelming to that organ system and may bog it down or hinder its function. Many people will tell you that they have a sweet tooth or that they crave pasta, potatoes, bread and other carbohydrates that are quickly converted to sugar in your body to be used as energy. Foods that are sweet help regulate your digestion and help build up your energy; a process called tonification in Chinese medicine. The organs of digestion are your Spleen and Stomach, and when you’re having digestive symptoms or low energy, you may crave sweet foods and carbohydrates. Interestingly, many people crave a little something sweet right after a meal as a digestive aid, which is not necessarily a sign of imbalance. However when that craving is fulfilled with a triple chocolate cheesecake or some other rich dessert, it only bogs down your digestion, rather than helping the process along. A common sign that your Chinese Spleen/Stomach needs some help are digestive symptoms and consistently feeling fatigued. In addition, people who are struggling with stress, anxiety, or depression, often have uncontrollable cravings for sweet foods and carbohydrates. This is because as part of the fight or flight response associated with these emotions, your digestion is put on the back burner as your body prepares to deal with the threat at hand. Craving sweets is a signal that your digestion needs some attention and your energy may be suffering. Strongly flavored spicy foods, like horseradish and hot pepper, make your nose run. That’s because your nose is considered to be part of your respiratory tract—your Lung system in Chinese medicine—and spicy foods affect your lungs. Spicy or acrid foods, expel wind and cold, which is a way of saying they help you fight off colds and the flu. Your Lung system is responsible for immunity, which in Chinese medicine is thought to be something akin to a protective shield that keeps out pathogens, such as viruses, bacteria, and pollen. So add a little spice to your diet to strengthen your immune system. Also, if you feel yourself getting a cold or the flu, a good strategy is to make a broth with some ginger and scallions—both acrid foods—and going to bed to sweat it out. Craving salty foods is a sign that your Kidney system may need some attention. In Chinese medicine, your Kidneys are important organs that house your vital body substances (Yin, Yang, and Essence), and is related to your overall body constitution. This means how you grow, your fertility, how you will age, and your overall health are related to the strength of your Kidney system. Your Kidneys also regulate water; it plays a role in regulating blood pressure, hydration, and urination. Physically, your adrenal glands are located on top of your Kidneys, and when your life is consumed with overwhelming stress, it’s your Kidney system that suffers the most. The bottom line is that when stress or fear is dominating your life, if you’re working way too hard, and/or eating poorly, your Kidney system takes a hit, and the end result is that you may find yourself craving salty foods. Salt stimulates your Kidneys, helps remove excess water, and reduces other stagnant buildups in your body. While you may crave a bag of your favorite grease-laden salty snack, a better choice would be fish, crab, clams, sea vegetables, miso, and other naturally salty foods. The sour flavor is related to your Chinese Liver system. In Chinese medicine, your Liver is responsible for the nourishing quality of your Blood and regulates the flow of everything in your body, from your digestion to your emotions. One of the most common imbalances associated with your Liver system is stagnation—a lack of flow. Strong emotions, frustration, and stress all have the ability to stagnate your Liver, causing symptoms such as insomnia, irritability, PMS, flushing, red eyes, and even pain in your ribs. Sour foods are calming and directed to your Liver. Good choices are vinegar, citrus and other sour fruits, tomatoes, and dill pickles. Bitter is the taste that is associated with your Chinese Heart. While your Heart moves blood through your body, in Chinese medicine it’s also home to something called your Shen, which is like your Heart, mind, and spirit all rolled into one. Your heart holds your memories, consciousness, feelings, and thoughts; and when you’re upset your Heart is out of balance. Your Chinese Heart also corresponds to the fire element, and here is where the bitter flavor comes into play. Bitterness is said to taste like something burnt or burning. Ironically bitter foods are used to clear heat in your body. Foods like bitter coffee, hoppy beer, bitter greens, mustard leaves, and especially dark chocolate can cool you down and improve your mood.